Last weekend (February 26), I went to the best concert I have watched in a long time. It was the Timpanogos Symphony Orchestra's 5th Anniversary concert, featuring Beethoven's 5th Piano Concerto and Tchaikovsky's 5th Symphony, at Timberline Middle School in Alpine, Utah. John Pew is a fantastic conductor to watch. He clearly loves the music that he conducts. For example, in introducing the Fifth Symphony at the concert, he said "I've loved Tchaikovsky ever since I was a teenager. I was given copies of the scores to his Fourth, Fifth, and Sixth Symphonies. I remember listening to those synphonies on my record player, following along in the score, and falling in love with the beautiful music. It's a great honor tonight to conduct the Fifth." It was delightful to watch his enthusiasm as he conducted two beautiful pieces of music. The Timpanogos Symphony is an excellent community orchestra. For five years now, it has been a place for musicians in the community to gather and share their love of music. There is something wonderful about listening to symphonic works performed by people who have come together for no other reason than the love of music. The winds were especially beautiful, filling the lyric sections of the symphony with deep, hollow, hauntingly beautiful sounds. The final movement of the symphony was so full of energy and excitement that it had a young girl sitting near me literally dancing along with it. The American Heritage Lyceum Symphonic Strings, who joined the TSO for the 2nd and 4th movements of the Tchaikovsky, are an admirable performing ensemble. I am impressed by the collaboration between these two wonderful local organizations. What better way to support the arts and encourage participation by young people than with a side-by-side like this concert? I hope to see this collaboration continue. 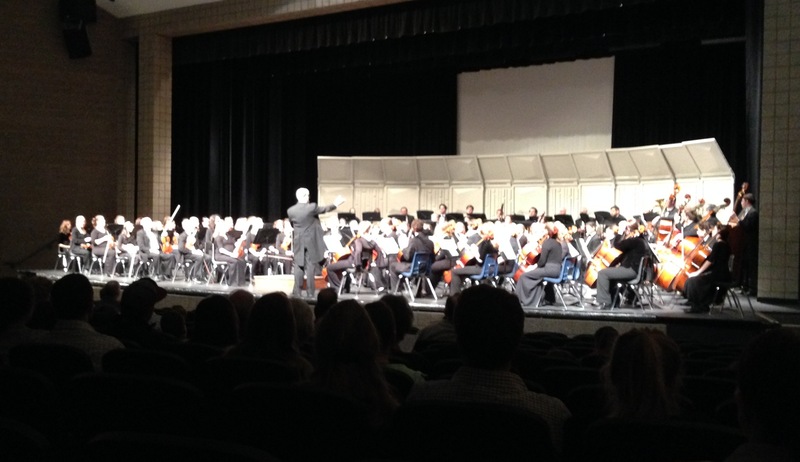 To the Timpanogos Symphony and the Lyceum Symphonic Strings: Well done. Thank you for a beautiful, memorable performance.